Thanks Alyson! Central Park is all about bright and sunny! 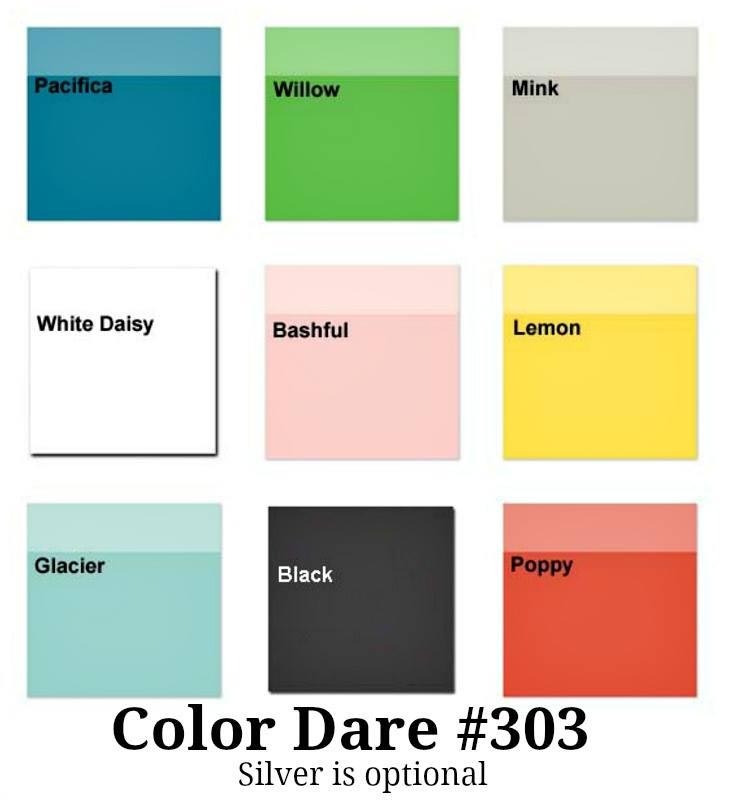 Love how you combined the color dare and the sketch challenge. I love to do that, and also love how your card turned out. Thanks so much for playing along at AHSC. Thank you Christine. I do love to combine them. AHSC has great ideas, thanks to the designers at AHSC! 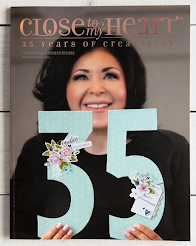 Love your card...love your story. I do a lot of cards for challenges and then at Christmas time I give a box to neighbors and friends, take some to my hairdresser, doctor, and have given some to other clients at my sister's nursing home. I enjoy making them and enjoy giving them. 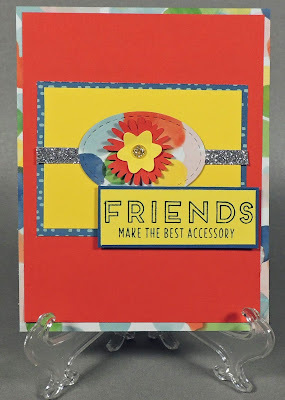 Thanks so much for sharing with us at Color Dare, always enjoy seeing your projects, and love your colorful Dots and blog. I love your card...your story is very touching! I too make a lot of cards...it's my passion. Although I send my friends and family cards on a regular basis never enough to overcome my "stash". I've started taking my cards to the local senior center and placing them on their "bread table" for people to pick up and use. I take an assortment because they might be getting a new grandchild. Greeting cards are so expensive and for those on a budget I felt this would be a nice treat. I've also started sending blank cards to friends with a sticky note in it to "Pay it forward" so far it's been well received too! 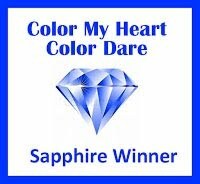 Thanks for joining us at the Color My Heart Color Dare. What a great idea! I still have cards left and will be putting your idea to use. Thank you so much! What a fantastic card! I love that you shared your story. Thank you for joining us at Color Dare. It's my pleasure, Catherine. Thanks to Color Dare. Great card! Thank you for sharing your wonderful story. You have inspired me to donate my boxes of unused cards - thank you! And we're so pleased you played along at Color Dare. Thanks to COlor Dare for all the time and energy you gals put into it! Friends do indeed make the best accessory!!!! What a fabulous card Dorothy! Love, love, love your colors! 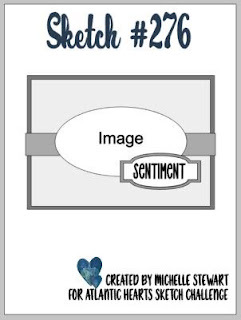 Thanks for joining us at Atlantic Hearts Sketch Challenge. Lovely card! Thank you so much for sharing with us at Atlantic Hearts Challenge last week! I love what you've done with this one, Dots! 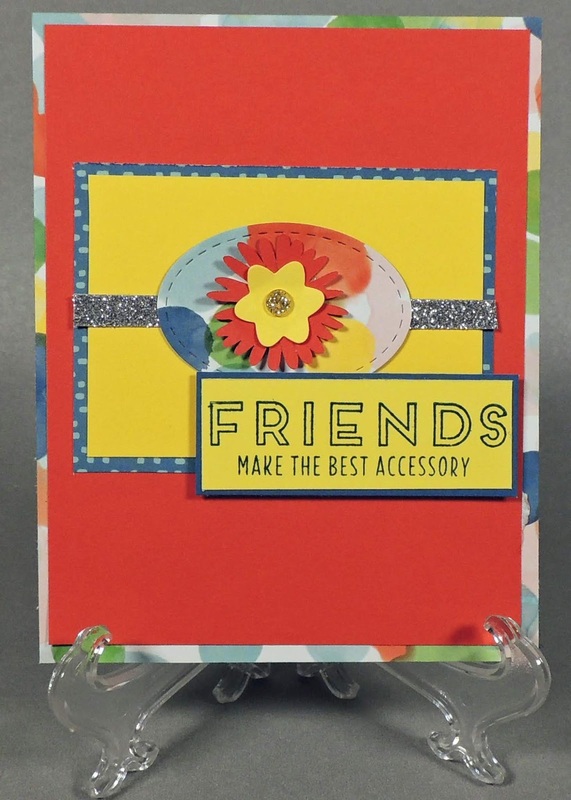 Primary colors always make such a cheerful impact, the embossed stitching lends such a nice touch, I love your little die cut flower combo, and the sentiment is one of my favorites. I am touched by your kindness and can't think of a better way to share your extra cards, I know they will brighten someone's day as well as warm their heart. Thank you for sharing with us this week at Atlantic Hearts Sketch Challenge.